Michael Cohen, President Donald Trump’s longtime personal lawyer, is reportedly being examined by the FBI, in part because of his time as a New York City taxi business owner. This week, he’s receiving some extra scrutiny over his time an attorney in a new investigative report by Rolling Stone: the outlet found he represented clients in the past who staged car accidents for insurance money. Some of the crashes at issue didn’t appear to be accidents at all. A Rolling Stone investigation found that Cohen represented numerous clients who were involved in deliberate, planned car crashes as part of an attempt to cheat insurance companies. Furthermore, investigations by insurers showed that several of Cohen’s clients were affiliated with insurance fraud rings that repeatedly staged “accidents.” And at least one person Cohen represented was indicted on criminal charges of insurance fraud while the lawsuit he had filed on her behalf was pending. Cohen also did legal work for a medical clinic whose principal was a doctor later convicted of insurance fraud for filing phony medical claims on purported “accident” victims. There’s no evidence Cohen knowingly filed false claims, Rolling Stone reported, and he never faced charges over the cases. 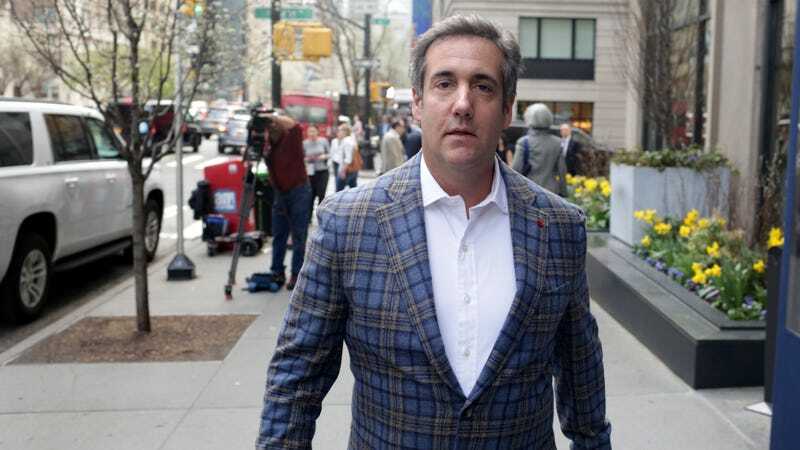 One example reported by Rolling Stone is a case brought by State Farm, in which Cohen was listed as the defense attorney for four people charged of staging at least 10 accidents from 2000 to 2001 as part of a fraud ring. The case was granted a default judgment after Cohen’s clients chose not to contest charges. Cohen is currently facing an investigation for alleged bank and tax fraud. It isn’t known if the FBI collected any evidence of his work as a personal injury lawyer during last month’s raid.